Some studies show a symptom reduction of 50 percent after eight weeks of transcendental meditation. Forty years failed to put much distance between veteran Jerry Yellin and the battlefields of World War II. "I never slept a night in my life for 30 years. I had addictive behavior, I thought about suicide, I was depressed," he said. Yellin, a fighter pilot from Iowa, is one of many veterans with post-traumatic stress disorder (PTSD), a condition where the body's fight or flight response becomes overactive after a traumatic event and makes people feel stressed or frightened even when they are no longer in danger. "Body parts and smells and the smell of death (that) permeated the island," all come to mind when Yellin recalls his landing on Iwo Jima. 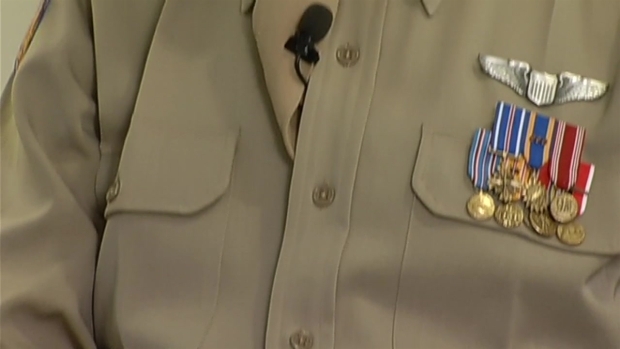 Doreen Gentzler reports on veterans who are using a form of meditation to help combat PTSD symptoms. Starting in 2010, Congress named June 27 PTSD Awareness Day. 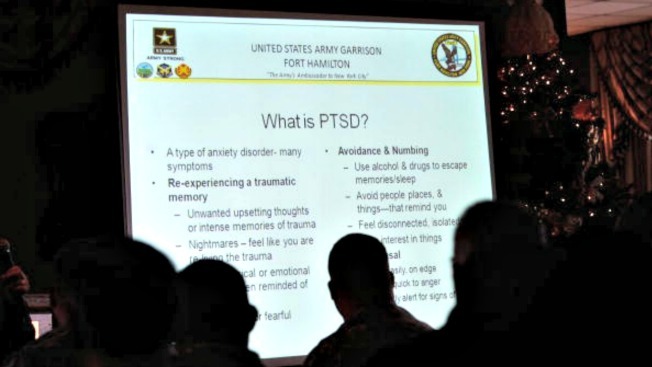 Since then, June has been recognized as a month to raise PTSD awareness throughout the U.S.
NBC4 Washington is committed to recognizing PTSD as part of its Changing Minds program in order to provide education, support and hope to all those affected. The U.S. Department of Veterans Affairs reports that around 5.2 million adults have PTSD in a given year. A soldier seeks help for post-traumatic stress disorder after suffering a brain injury in an improvised explosive device explosion. The condition is most common among veterans. The VA reports that 11-20 percent of veterans from the Iraq and Afghanistan wars, as many as 10 percent of veterans from the Gulf War and 30 percent of veterans from the Vietnam War suffer from PTSD. According to the American Psychiatric Association, more than 40 percent of Iraq and Afghanistan war veterans responding to a recent survey said they did not seek mental health care because of a perceived negative impact on their careers. Psychiatrist Dr. Norman Rosenthal says that PTSD is caused by over-activity in the "sympathetic nervous system." "The hyper-vigilance, the flashbacks, the repetitive, painful thoughts, these are signs that the sympathetic nervous system is overactive," he said. While prescription medicines are common for the treatment of PTSD, psychiatrists like Rosenthal are now recommending something called Transcendental Meditation (TM) to treat the condition. TM involves sitting down twice a day for 20 minutes and envisioning a specific word or sound assigned by the psychiatrist. Eventually, practitioners move into "transcendence," or a quiet state of mind. "All of a sudden you slip into a space that perhaps you've never ever been to before," said Rosenthal. "That turns out to be very, very powerful." Brain imaging of TM practitioners shows that those who practice regularly have more alpha rhythms, the slow brain waves that are associated with less stress. Another study found that veterans had a 50 percent reduction in PTSD symptoms after eight weeks of regular practice. For Yellin, TM has been changing his life since 1975. "TM allowed me to go deep into myself, to have a calmness about me and my life changed dramatically," he said. Yellin is committed to helping other veterans find peace through TM. He is part of Operation Warrior Wellness, a David Lynch-sponsored organization that aims to bring TM to veterans, military personnel and their families. The organization offer generous individuals two ways to help. Donors can provide support for an individual veteran or family member to receive training in TM or sponsor a TM instructor. For successful practitioners like Yellin, TM has made all the difference. "I found a pure purpose in life again."